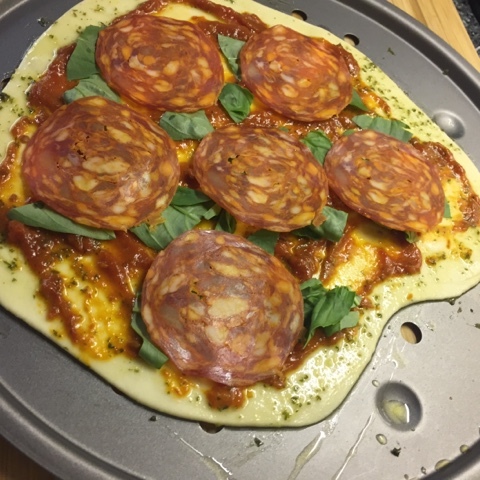 So following yesterdays blog recipe on simple pasta, how could I not follow it up with a simple pizza recipe. 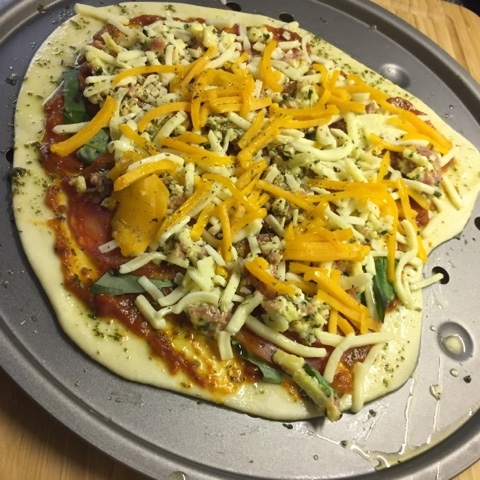 Everyone knows how easy it is to put a few toppings onto a pizza base, however it is the base itself that really makes the pizza bad or great. 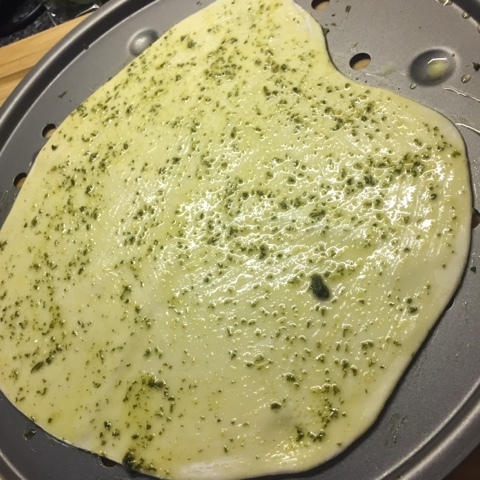 For this recipe, I am using a fool proof method for my base. I like to add the salt to the flour and put into a large mixing bowl. Mix all the liquids together and add the Yeast to activate. Add the liquids (Water, Milk, Oil with the Yeast) to the flour and mix in well, when all bound together, turn onto a clean and well floured work top and kneed for a few minutes, adding flour as required until it feels smooth and not sticky. 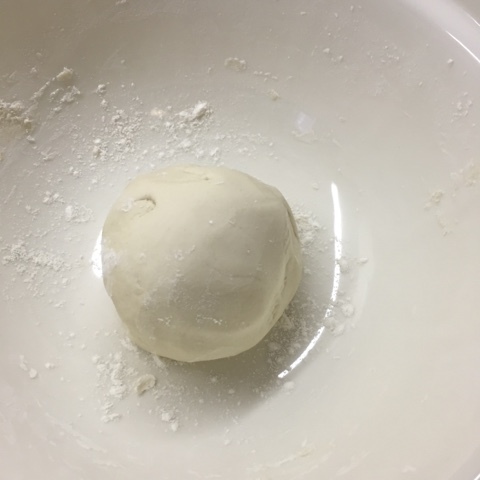 Transfer the dough into a floured bowl and cover with a damp cloth, leave somewhere warm for a couple of hours or until the dough has doubled in size. Once risen, divide into 3 balls, at this point you can wrap any that you are not using now in cling film and stick in the freezer for use another day. Roll out the dough on a well floured worktop until desired size and thickness is achieved, thinner is better. Transfer to a baking sheet ready to be topped. I like to melt some garlic butter and brush this onto the pizza base, next comes the tomato base, you can use puree, a jar or make your own. I prefer a Chilli and Tomato Base. 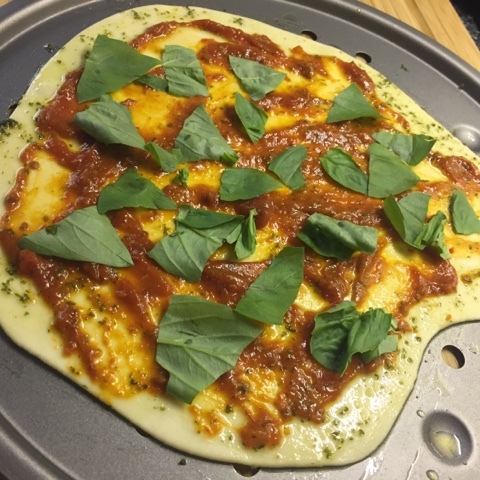 Basil is my best friend and so loads of basil is added. 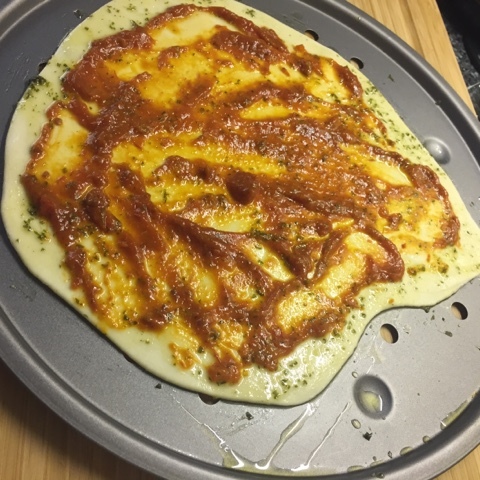 Finally top with grated cheese (Mozzarella, Red Leicester – The choice is yours) and drizzle with some good quality Olive Oil. Bake for approx. 12-15 min’s, or until the topping is cooked and the base is crisping up. 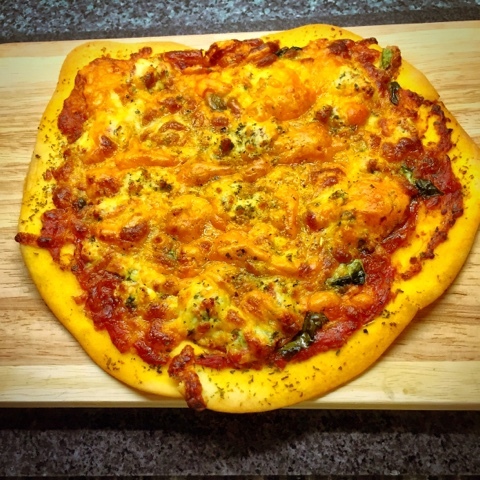 The only time consuming part is the dough for the base, but if you always make more than you need, you’ll have loads ready to go in your freezer for the next time.